Project SLAM. 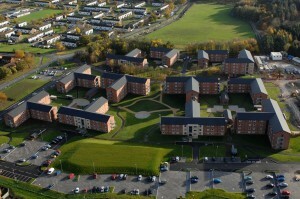 It’s a memorable name and stands for ‘Single Living Accommodation Modernisation’, which is a long-running contract to provide thousands of the MOD’s bedrooms for single personnel. A new SLAM block at RAF Shawbury. 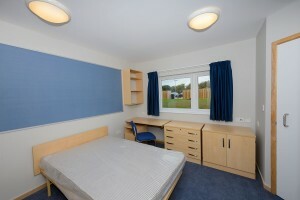 Many of these bedrooms are single occupancy with en-suites. Over the last twelve years we’ve built or refurbished more than 22,800 bedspaces, including eleven messes & one ancillary building. These successful renovations and constructions covered 52 locations from Scotland to Cornwall across all three services. In that time there have been 121 separate projects, which is obviously an enormous contribution to improving the living conditions of our armed forces. 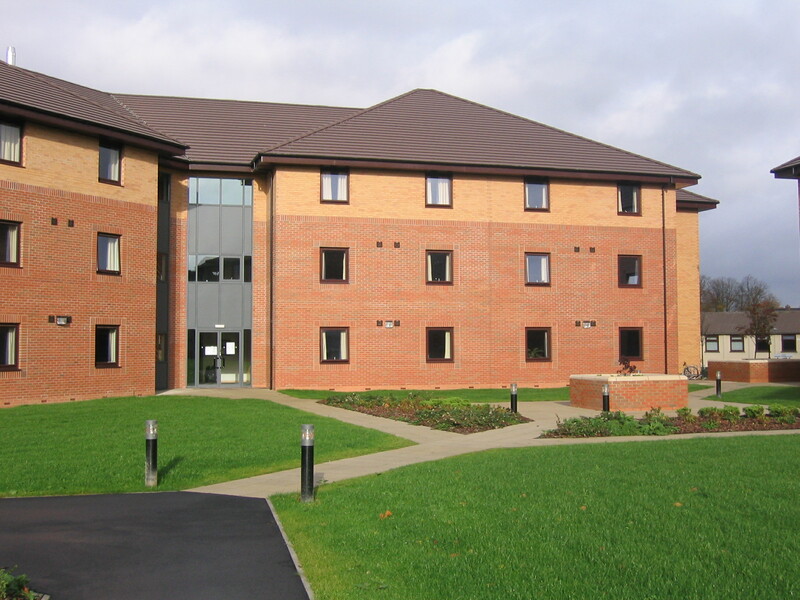 With a construction spend of nearly £1.3Bn, it has been one of the largest new build and refurbishment projects in the UK. The contract was awarded in 2002 to Debut Services Limited, a joint venture between Lendlease and Babcock Support Services. 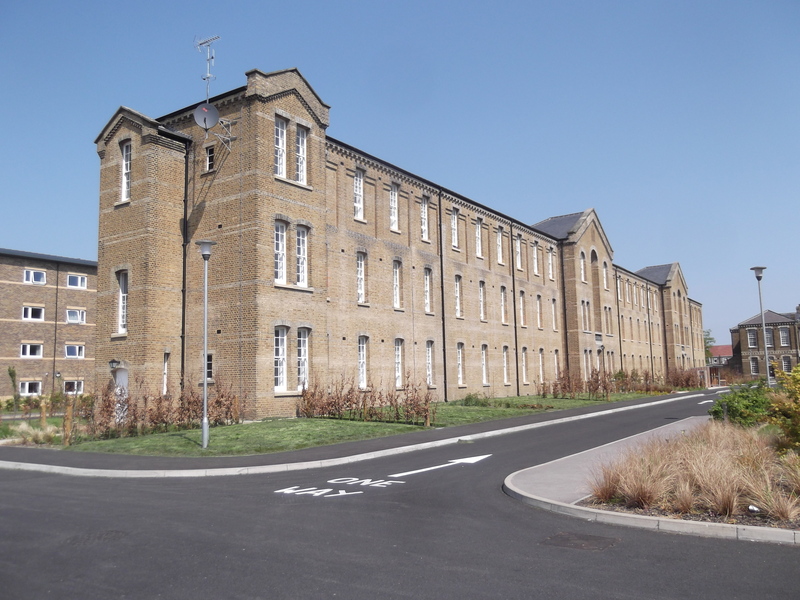 For some sites, such as Woolwich and Hounslow, Grade 2 Listed Buildings were refurbished to bring them up to modern standards. 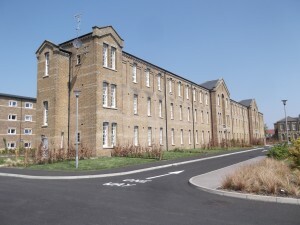 Grade 2 Listed buildings were renovated at Hounslow. In the majority of locations entirely new accommodation blocks were built. Of these, some were built traditionally but we’ve also introduced modular construction. This means the rooms are factory constructed off-site and then lifted into the skeleton of the building and the external envelope constructed. SLAM room at RAF Brize Norton. Over the course of the project, one bedspace was delivered every normal working hour on average. The success of the project has been recognised by numerous awards including more than 20 Considerate Constructor Gold, Silver or Bronze awards and latterly the Minister (DEST) Acquisition Award for the final 14 projects let in December 2012. Most importantly, feedback from soldiers, sailors and airmen and airwomen has been very positive. With completion of work HMS Nelson, Project SLAM has now finished its bed delivery programme. However, each new build block from phases one and two of Project SLAM enjoys a seven year Compliance (maintenance) period. This is currently maintaining around 13,000 bedspaces and this element of the contract is scheduled to continue until 2020. DIO is really proud of all the work we’ve done and the positive contribution it will make to our service personnel.